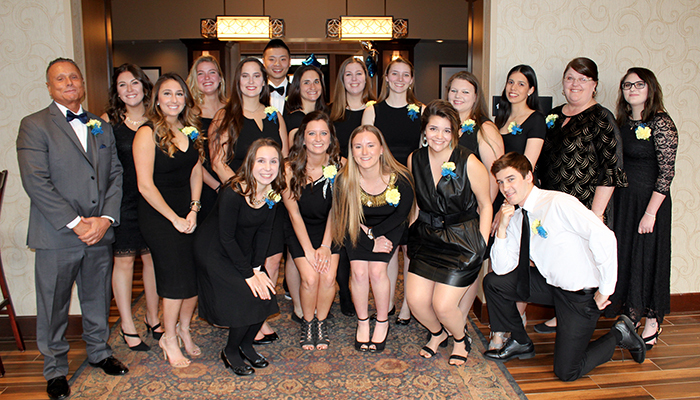 On Friday, April 13, more than 200 people attended the third annual capstone gala, Wishing Upon A Star, at the Hampton Inn & Suites in Cazenovia. The venue hosted a sold-out event, as people came to support the students and raise money for the Make-A-Wish Foundation of CNY. The students chose the nonprofit as the beneficiary of the fundraising effort because of their strong belief in the organization's mission. The Make-A-Wish Foundation seeks to make life better for children with a critical illness by granting them a wish. Each wish costs the Make-A-Wish Foundation an average of $12,000. Throughout the semester, the business and business management seniors planned and organized the gala as part of their capstone class project. The event boasted live music and more than 50 donors for the silent auction and raffle. All of their hard work paid off when the gala went off without a hitch! "Exceptional work was accomplished by our students," comments Dr. Joseph Adamo, business and business management program director and professor. "This year's attendance numbers showed that we have outgrown our current venue and will be scouting for a new site next year." With hard work and determination to raise money for the Make-A-Wish Foundation of CNY, the students were able to generate $14,550 at the sold-out event. 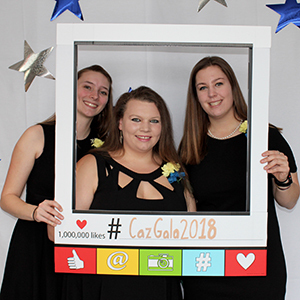 This successful fundraiser illustrates the professionalism and dedication of Cazenovia College students in planning and hosting fundraising events such as this.